and I wanted more interaction. I've attached the sketches and studies that I've done so far. 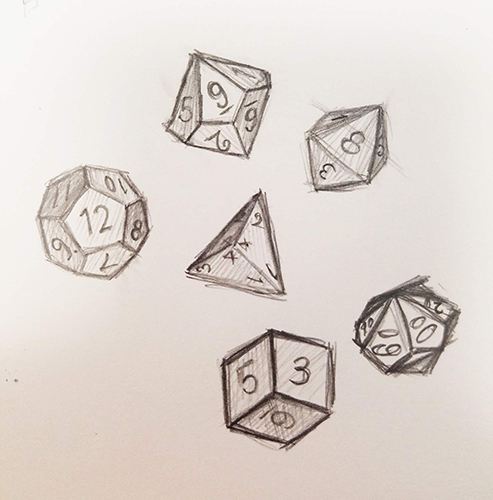 d4 is a specialised dice and isn't used often. shy little pyramid. Sort of 'lesson' that everyone has their use.